I went to bed and had terrible pain in all my joints. I was so inflamed that my pants left a welt on my skin. I had a photosensitive (light induced) seizure when Matt opened the curtains in the morning. My heart was very swollen inside my chest. Come to find out, it was a full moon and Lyme flares are extreme during this time. I prayed and asked the Lord to remove all of the symptoms. It was about 9:30 am, I had been running around the house cleaning, which I was completely unable to do an hour earlier. Something changed and I got caught up in cleaning, I nearly dismissed it! I looked down at my phone and see that I had a text from my friend Sammy that had come in around 9 am. She asked me if I was in pain because she had a dream that I had severe pain in my legs. I responded emphatically "YES!!" I said, "Did you pray? 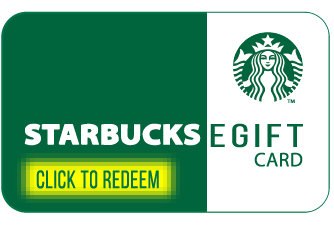 Because I have been exceptionally better for the last 30 minutes? It was the same time you sent the text." She responded, "That's when I started praying. Wow! God is so good!" Sarah tells the story of her children going from extreme sickness to better the day after. 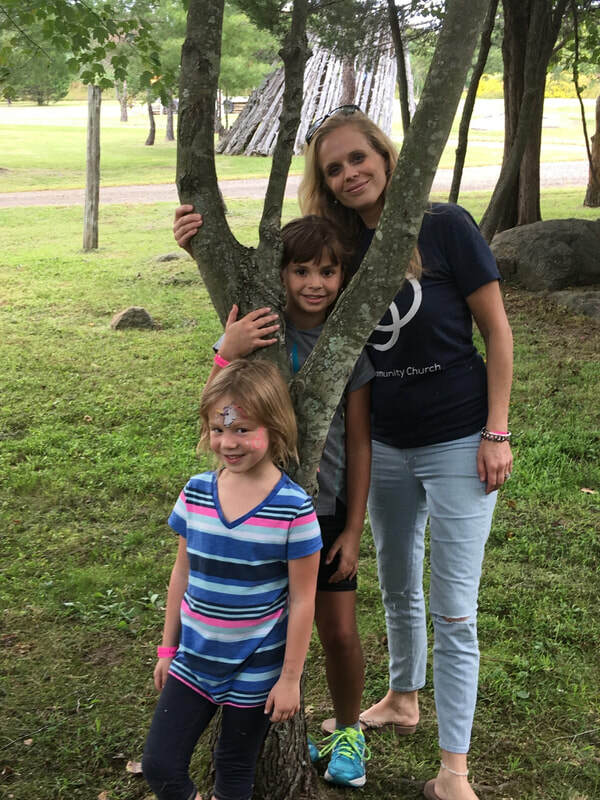 Rebekah White Williams stands in the gap in the church service in California, while Sarah and Lilli receive healing 3,000 miles away in Virginia. You know, when you first get saved, the Lord puts a hedge around you... until He calls you deeper. Then He tests you. Out of the testing, comes pruning, and molding. Have you considered it joy when you face hardship? I still have a hard time grasping this concept. At least tonight. Right now. As I sit and contemplate the fact that I will have to face Lyme treatment again... this time, not me, but my eleven year old daughter.... a second round for her. Forgive my grammar tonight, as that's the last on my mind. Why? Job asked why. Job didn't get a straight answer from God, but his friends seemed to "know it all." I used to wonder why Job and God were so harsh on Job's friends. They seem to have logic in their response. Commit evil and God will punish you. It seems simple, but that's not the truth in this case, nor is it in mine. I have not denied His Name, in fact I've only promoted His name. Job did not curse God either. In fact, Job praises God after Satan's strike against him. How do you react when you face various trials? Do you consider it pure joy as James says? Have you ever considered the fact that God is not only testing you, but He actually believes in you? He sees you. He considers you faithful to Him. He KNOWS you will praise Him in the storms. 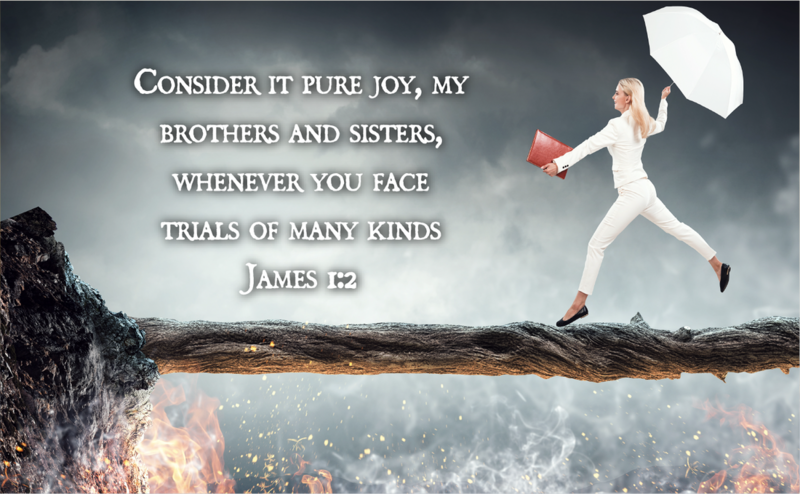 ​Do you consider it joy when you face various trials? I will go as far as to say, "Be honored that God chose you to walk through this difficult time." He will use you, grow you, and continue to be faithful to you. "Be joyful in the storm." Honestly, I can’t even imagine a life without pain, fatigue and suffering. It has become my normal and my family’s as well. Here is my vague story. I was able to use my calendar with appointments to try and nudge my memory. 2011-2012 - I had a newborn very ill with me. It was a struggle to get her to the doctor, and impossible to get myself to a doctor. There were times I was so weak, I couldn't sit up to burp Reese. 2013 –I was completely out of it, sick all of the time. Matt would come home to a disaster with while our two-year-old and I stayed sick on the couch. Matt would beg me to go to the doctor. I was burned by doctors my whole life, so I just told him that they would just tell me I'm fine and turn me away. Reese and I laid on the couch watching cartoons, while I watched "how to us Illustrator" videos on my computer. August 2013 - when I began to have neurological symptoms. Lilli would have to grow up fast during this time as she was taking care of me. She remembered things for me, packed her own lunch, walk herself to the bus stop. She would find me laying in the floor many times where I was unable to stand. Breathing became difficult for me. September 2013 I remember my sister Lindsay coming up to take me to the ER in Fairfax. My right leg would not operate correctly and I would have to drag it as I walked. I was so very weak, but I pushed to get better at this point. And yes, the doctors did the same thing they always did. That ER visit - the resident treated me as if I was wasting her time. She sent me home with a possible urinary tract infection (inconclusive). Then my parents were angry and they all took care of me at this time. Matt was certain I was a hypochondriac (we are able to laugh now). They took me to Johns Hopkins twice. No one could find anything, because the brain is impossible to test. I didn’t know it was my brain as I had no idea that there are actually 40 different types of seizures. Johns Hopkins did find that my left ventricle of my heart was slightly enlarged. But again, turned me away. I began to run around frantically with the help of my family going doctor to doctor. My mom took me to a Johns Hopkins rheumatologist. As I was throwing up and couldn't bare to see any light, the doctor said, "You are not sick enough to be in my office." That's verbatim. I never saw what he looked like because I couldn't even look slightly up. I was pawned from one doctor to the next. December 2013 - January 2014 – I had given up. I just couldn’t fight anymore and I laid on the couch just asking God to take me home. My friend Bekah called me at this point (I hadn’t talked to her in awhile; it was God's timing). She told me to fight and she prayed over me. I was asking God to take me home to Him. Many may not understand this, but I was at this point many times. I wasn't suicidal, because I trusted Jesus' timing. But I was certain it was close. After Bekah encouraged me to fight, I got back up in my search for wellness. She said, "Sarah, some people die before their time, when they willing give up!" So, I began to fight again! 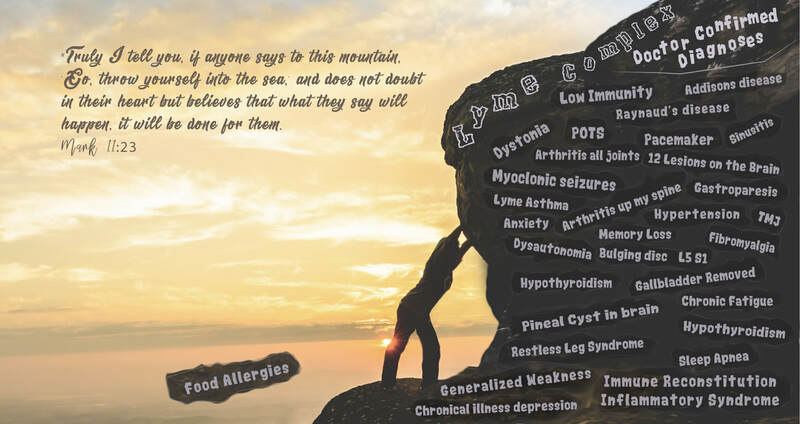 July 2014 – Dr. Abidin FINALLY caught the Lyme! My NEGATIVE test according to CDC guidelines, was actually POSITIVE! I had Lyme for a minimum of 20-25 years, so my immune system (antibodies to fight Lyme) was losing the fight. I was in search for a Lyme doctor, thinking this was going to be an easy fight with 30 days of antibiotics. Boy was I wrong. I couldn't even get a doctor to take on my case. August 2014 –I finally found an infectious disease doctor. The very first thing he says to me, "There are two schools of thought regarding Lyme. Lyme can be beat in 20-30 days or few other controversial doctors treat with long term antibiotics. If you are seeking the latter, then I can't help you." I had no idea what he was talking about. He put me on doxy for 30 days. It made me so sick. Then I found an internist who put me on IV antibiotics for 70 days. When I told him it wasn't working, he said that we would try other things. Something happened between that visit to the next. He walks in with his head down, and says "I can't help you anymore. Here's a referral for an infectious disease doctor." My best assumption is that his colleagues had told him he could have his license suspended if he over treated me. He could also be sued by the insurance company. This is what happened to my doctor that helped me the most, Dr. Jemsek in DC. At this point, I could barely walk up the steps. My limbs were so heavy, I learned to drive with two feet. I had migraines to the point of throwing up. I had so many symptoms the neurologist said that I was crazy and put me on psych meds. I cried all the way home believing I had gone crazy. That MRI of the brain I begged for, caused me to have a seizure so bad, that I was walking like in the video below. Somehow I managed to drive myself to a local ER. The doctor there was great and ready to do a spinal tap. Of course he calls my neurologist. Dr. Fishman told him that I was basically causing my symptoms with my anxiety. He told the doctor to give me an IV of Ativan and send me home. The good thing was that it worked. I didn't know that the "anxiety med" was also used to treat seizures. Oh the relief that day. There is no pain associated with these, but it's scary to think that I may never walk again. 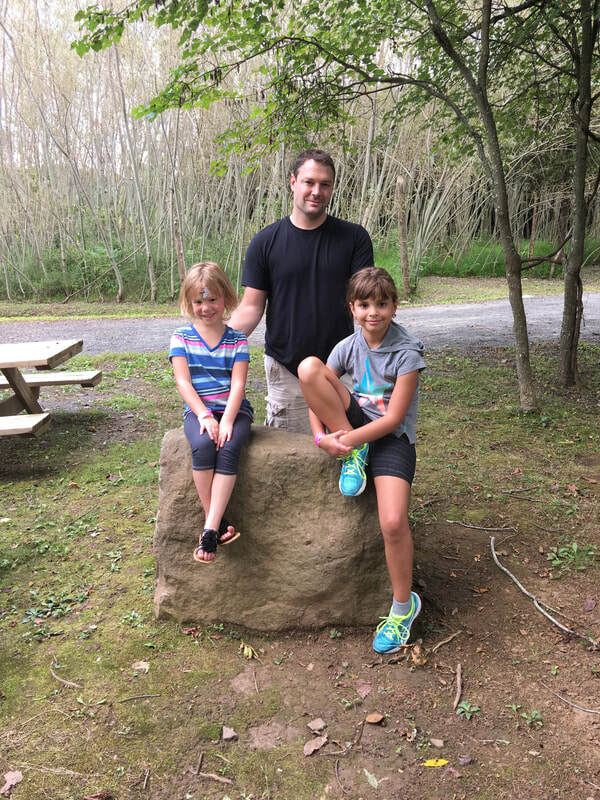 May 2015 – I found a Lyme doctor in Roanoke, VA. At this point I was driving myself the 4 hours and would have to pull over and sleep 15-minute intervals to keep myself from wrecking my kids. I didn't know why I was so plagued with fatigue. She put me back on the IV with double the antibiotic amount. This time I had a home nurse because I was unable to do the daily trips to the hospital. Dr. Talty was amazing; however she could only get me so far. After 3-4 months on IV with her, I transferred my line over to Dr. Jemsek in DC. I continued multiple antibiotics and detox until January 2017. This time I was rotating several antibiotics. I have drawers and cabinets full of medication. September 2015 – I started passing out because of my heart. My heart beat went up to 180 bpm and it couldn’t get enough blood to the brain and I would pass out. Jesus saved me at least 5-6 times this happened. I would wake to my 3-year-old standing over me saying, “mommy”. She didn’t seem concerned so I imagine I wasn’t out long. Death was certainly closing in on me. I went to heart doctors who would take one look at me and not believe me. "You don't look like you should be in my office. You look healthy." I mean, what does healthy look like? How does anyone know what's going on inside the body by what the outside looks like? After Echo, EKG, heart monitor, tilt table etc… nothing would show up, because my brain was causing it. Dysautonomia / POTS. I was so tired of spending 6-8 hours in the ER for them to find nothing; so I quit. My home nurse forced me to go, calling Matt or she would call an ambulance. Another time I went to urgent care because I was having trouble breathing. She was in the office all of 1 minute feeling my crazy fast and off heart beat (tachycardia and arrhythmia), and she said I MUST go to the ER and she was calling an ambulance. I didn't want to go in an ambulance, so I had to sign agreement to go immediately to the hospital. She would call the hospital to make sure I went. Again, 8 hours later, with nothing. I was so fatigued, so I did a sleep study and they told me that I had mild sleep apnea, and I shook (myoclonic seizures) 255 times a night! They called it restless leg syndrome. My immune system was not good, so I was also on monthly IVIG (Intravenous Immunoglobulin Therapy). This was a 6-hour day on IV. I only came off recently because my new doctor is trying other natural treatments. My doctor then, told me that I had to have had Lyme since at least 1992. It made sense because my dad was a boy scout and we went camping very regularly. I also grew up running through cow pastures! We lived outdoors. At some point, I would see another neurologist. His tech did an EEG on me. I shook uncontrollably every time the light was in my eyes. He never actually picked his head up from the screen and looked at me; he wasn't even in the same room. He focused only on the test, my brain waves. Shockingly, NOT, he said that the EEG was normal. August 2016 – FINALLY, I found a heart doctor on a Lyme blog. Dr. Atiga redid the tilt table test. The first doctor mocked me and did the test wrong. As they tilted the table from laying to standing, I felt a terrible sick feeling and I started to shake uncontrollably and then I nearly passed out (he did something to make sure I didn’t). My blood pressure and heart rate had dropped dramatically. It was very scary. Then Dr. Atiga says to me, “I don’t typically put a pacemaker in a 36-year-old (only about 1% are placed in patients under the age of 64), but I would like to put one in you. Are you okay with that?” I cried and said thank you thank you!! Dr. Atiga saved my life! After the placement of the pacemaker, I was more depressed than I’ve ever been. Not only was I so sick, I couldn’t do ANYTHING for myself. I had to rely on my dad and family to take complete care of me. I was miserable and helpless. September 2016 – November 2016 – The herxing was killing me. I would drive to the store and then on the way home I would forget where I live. I couldn’t remember a split second ago. I’m surprised I knew my family’s names. I know God's grace and healing were constantly working in me. The brain was so toxic that I even went completely paralyzed one day. Lilli was 9 and Reese was 5 and they were downstairs in the basement while I was up in bed. I couldn’t move a single finger, toe or anything. I couldn’t even speak. I was fully aware of everything and I could see, but couldn’t turn my head. Finally, Reese got scared and came up to yell for me. When she spoke it somehow triggered the ability to speak back. I yelled down, “Reese come help Mommy.” I told her to pull me out of bed. She pulled an arm and it triggered it to move. Then my leg, and then my whole body. I could walk, talk and move again!! One time, I lost my voice for 2 weeks. Most of the time I could barely get words out of my vocal box, but part of it I was completely mute. It came back in a split second when I was talking to Lilli. Praise God! Another supernatural healing. I lost / lose circulation in my limbs at night. Sometimes, I sleep in the recliner, because lying flat causes my heart not to be able to pump all the way out. Sleeping legs up and head elevated helps my heart work. It also relieves joint pain. I stay on one level of the house the best I can, and I put baskets at each staircase to fill up with items that need to go up or down. Matt carries them for me when he gets home. I never take staircases in public places when there is an elevator. Walking too far or uphill makes my legs burn. I’m completely exercise intolerant; this is a symptom of dysautonomia. I definitely get looks when I pull into the handicapped parking space. I only have enough energy in one day. Parking close gives me a little bit more time to get through. Pain debilitates me especially at night. I wake up all through the night stretching, moving and even going to the recliner. I can’t tell you how many times I walk into a room and forget why I’m there. It happens almost every time, many times a day. I can’t walk barefoot at all because of the neuropathy in my feet. Barefoot causes stinging and sharp pains in my heel and also like walking on coals and 1,000 needles. It’s awful. I also get terrible hot flashes where I’m sweating and everyone else is chilly. My sense of smell is so heightened that I try to avoid public restrooms, even because of air freshener. I get headaches daily and if I don’t treat it and lay down, then it’s migraine to the point of throwing up. I have to sleep with a minimum of 6 pillows at night and I’m so sensitive to light that all curtains have to stay closed at all times. Lights stay off during the day, and when Matt is home, the lights that are towards my eyes stay off. Sometimes I wear sunglasses indoors. Breathing is difficult at times. There was a point where my brain wouldn’t tell my appetite to work. I stopped eating and I lost weight. Matt started putting food in my mouth which then I realized that I wasn’t getting hungry! I just don’t know day to day what symptoms will come on. But there’s never a day without symptoms. I always say that it is a good thing my memory is bad, because I can always smile! Oh the grace of Jesus. I always need back support. My joints in my back, neck, fingers, knees and ankles hurt so bad each at different times. My back and neck hurt ALL THE TIME. So does my jaw. Sinuses are so chronic that I get the daily headaches and will have to go to ENT consistently to get suctioned out. This is after 3 sinus surgeries. I don’t go outside much. If I am around people, it takes a lot out of me. Mental fatigue causes physical symptoms. So, if I’m around people, then you can count on that amount of time for me to be down afterwards. If I visit family for a week, then you can count on me being down the next. It’s a game of knowing how to divvy my time and effort, because everything I do has a cost. If I have a two-hour doctors appointment then that’s all I can do for that day. Sometimes I try to shove two in one day, but it kills me. The whole next day I’m out. If I have over 4 things on my calendar in a week; that’s stressful for me. I have had to relearn everything in life, and I continue to have to relearn. For example, as I was just typing, I forgot if the comma goes before or after the "and". I had to find another example in my writing to get it right. I have not had any trouble with that before. These things happen all the time. My comprehension and word finding is very difficult at times. Mid sentence I lose my train of thought, multiple times a day. I was able to cope with this after having an 8 hour test that measures the loss of your memory and comprehension. The findings are compared with an average adult my age, with my level of education, a bachelors degree and occupational attainment. I've posted my actual test below. There is a clear line in my life before and after that 8 hour test. Before the test, Matt and I would bicker a lot. I was still trying to work my own company. I had OCD writing that financial spreadsheet to make sure I was making money. Matt would tell me that I was spending more than I was making. He had to convince himself that it was just my hobby, because I could not grasp what he was saying. My head was spinning and my will was strong. I was determined to make money to help, as my health expenses were ridiculous! I just "knew" I could do this! I couldn't. I was blind and my strong will was the only thing pulling me. Now the line was about to be drawn. I went in for that 8 hour test and I was frantically late (time became confusing to me). That test was the best thing I ever did. I slowly over the course of that day began to realize my brain was not working right. I grew so weary and it would decline even more. When the test came back, my jaw dropped. In most areas I dropped from 70% to around 30%. In one area I had gone to 1%! There were several others in the teens. So, the line was drawn and that test changed my life forever. My eyes were open and I could see that I had to lay a lot of boundaries in my life. I had to quit my business. But first I had to apologize to Matt! After seeing it on paper, I was able to cope with it. I think it's a lot like the beginning of alzheimer's. Without seeing it on paper, you are trying to convince yourself and others that your brain is well. You get very frustrated when others question your ideas or your forgetfulness. My grandpa couldn't understand why the doctor would take his keys away. I can’t work. I have had to set boundaries. I go to church but do best when I’m home. However, even in my home is a daily battle. Honestly, I can’t even imagine a life without pain, fatigue and suffering. It has become my normal and my family’s as well. Please feel free to pass my story along to anyone suffering. It may save a life. 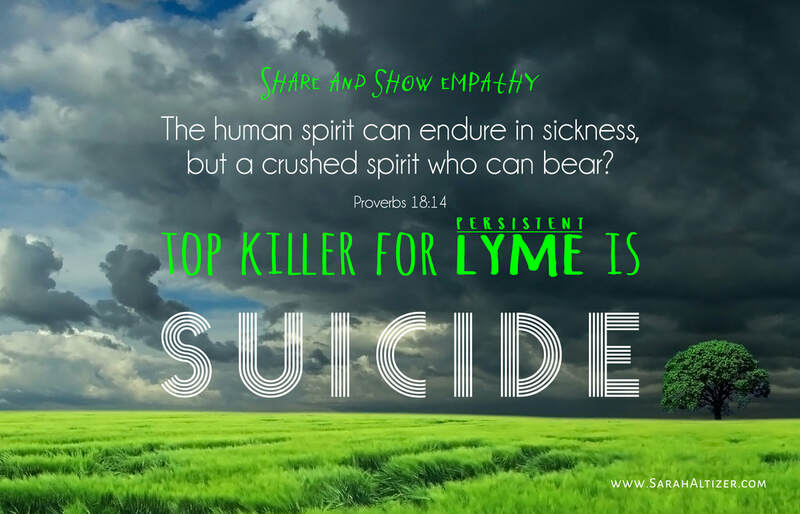 In my most recent post, I talked about the controversial subject of suicide being the "Top Killer for Lyme". Depression always comes first and I address the spiritual component in this follow up video. Have you ever wondered why God doesn't always heal when we ask? Well I think the Lord gives us an idea in the story of the paralyzed man. 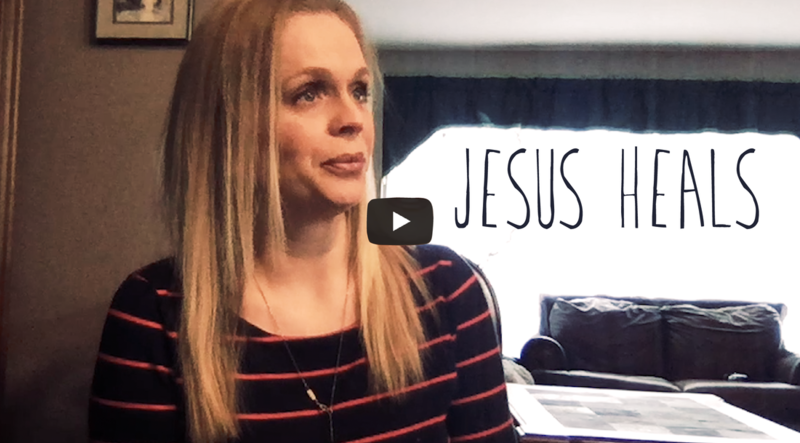 The video is only 5 minutes, so take some time to hear what i think the Lord is trying to tell us through this miraculous story about healing in this life and the next. It's only 6 mins. See into my heart regarding God's Word and healing through suffering. I have battled Lyme disease amongst other co-infections and illnesses for 8 years (though having it for 27). The Lord has taught me so much about His Word and faithfulness and I'd just like to share with you. The Brutal Death of an Innocent Man- He Had to Die for you! ​John 18:31 Pilate said, "Take him yourselves and judge him by your own law." "But we have no right to execute anyone," they objected. They said “crucify him” "Crucify Jesus the Messiah"
Pilates wife warned him not to have anything to do with Jesus – she was tormented in dreams. But the chief priests and the elders persuaded the crowd to ask for Barabbas and to have Jesus executed. The whip (flagellum) was made of several pieces of leather with pieces of bone and lead embedded near the ends. Two men, one on each side of the victim, usually did the flogging. It is not surprising that victims of Roman floggings seldom survived. Crown of thorns pressed into his scalp. scalp is one of the most vascular areas of the body. And when they had mocked him, they took off the purple robe (bandaid) and put his own clothes on him. Then they led him out to crucify him. pressing into the lacerated skin and muscles of Jesus’ shoulders. The scourging of blood so weakened him that he could not go on carrying the heavy crossbeam. Jesus is quickly thrown backwards with his shoulders against the wood. The legionnaire feels for the depression at the front of the wrist. He drives a heavy, square, wrought-iron nail through the wrist and deep into the wood. Does other wrist – not to pull arms too tight but to allow some flexion and movement. The cross is then lifted into place. - arms fatigue, cramps through the muscles, knotting them in deep, relentless, throbbing pain. With these cramps comes the inability to push himself upward to breathe. .
. Jesus fights to raise himself in order to get even one small breath. and the cramps partially subside. At Spasms he is able to push himself upward to exhale and bring in life-giving oxygen. Hours of this limitless pain, cycles of twisting, joint-rending cramps, intermittent partial asphyxiation, searing pain as tissue is torn from his lacerated back as he moves up and down against the rough timber. Then another agony begins a deep, crushing pain deep in the chest as the pericardium slowly fills with serum and begins to compress the heart. It is now almost over—the loss of tissue fluids reached a critical level—the compressed heart is struggling to pump heavy, thick, sluggish blood into the tissues—the tortured lungs are making a frantic effort to gasp in small gulps of air. . . . The body of Jesus is now in extremis, and He can feel the chill of death creeping through his tissues . . . . His mission of atonement has been completed. Finally he can allow His body to die. ​Jesus was directing us to Psalm 22 but it is also the moment when the Father's presence left Christ alone at the cross because at that moment He bore our sins and became a curse. The earth shook, the rocks split and the tombs broke open. The bodies of many holy people who had died were raised to life. They came out of the tombs after Jesus’ resurrection and went into the holy city and appeared to many people. convicted of murder as the mastermind, along with two other murders. juvenile reform schools and jails, and he served 10 years in Washington state prison for pimping and passing stolen checks. Manson claimed that he was Jesus and believed the string of murders would help hasten an apocalyptic race war. His cult of about 100 followers was deeply engaged in drug use and included many naive young girls lured in to help carry out his mission. His followers committed nine slayings at four locations in the summer of 1969. Manson was found guilty of first-degree murder and conspiracy to commit murder in the deaths of seven people, including Tate. All of the slayings were carried out by his followers. He was also convicted of first-degree murder in two other deaths. He was originally sentenced to die in 1971, but the term was commuted to life in prison without parole after California eliminated the death penalty a year later. To Judge or Not to Judge? That is the Question? What does the Bible have to say about it? Watch the video first. There is a wealth of information that took a long time to prepare! I personally think this is one of the biggest deceptions the devil has gotten away with in the 21st century. I live in the Washington, DC metro area, and I've never seen more political correctness. You can't possibly offend anyone without major backlash. This has caused us to be "stuck" in our relationship with God as a church whole. These younger generations are crying out for boundaries, and we continue to break down godly boundaries, in order not to hurt feelings. When Jesus died on the cross and rose again, he took God's wrath that was meant for you and me upon Himself. Therefore, we who follow Christ, have been forgiven of our sins. Our sins have been paid for by Jesus. However, the question remains: Should we judge others? Who? When? The Bible is clear on not judging others when we are living in sin. Jesus says you will be judged in the same way that you judge. He goes on to call the self righteous judge, hypocrite. Why do you try to take the speck from your brother's eye, but have a plank in your own? Then.... it says, take the plank from your own eye, and you will be able to see clearly to remove the speck from your friends eye. (Matthew 7:1-5). I think we miss that last part. Do not judge if you are walking in sin yourself. You must be set apart, then help your friend by walking in love, taking the speck out of his/her eye. Recall, when the Pharisees (self righteous leaders) brought an adulterous woman to Jesus to be stoned. Jesus says, "Let the one who is without sin throw the first stone. That was a strong conviction as no one could pick up a stone. (John 8:1-8) Those who were ready to judge and condemn another were living in sin themselves, especially the religious leaders. Paul, is stern when he is speaking to the Romans about judgment. He says that whenever you pass judgment, you are condemning yourself. "So when you, a mere human being, pass judgment on them and yet do the same things, do you think you will escape God’s judgment?" (Romans 2:1-3) Pay close attention to "yet do the same things." Please don't be deceived: 2 Corinthians 5:10 clearly states that we will all appear before the judgment seat of Christ, so that each of us may receive what is due us for the things done while in the body, whether good or bad. After salvation, we will still be judged for what we do good and bad. This doesn't mean we aren't forgiven when we repent, but we are still held accountable for what we do. “The LORD our God has secrets known to no one. We are not accountable for them, but we and our children are accountable forever for all that he has revealed to us, so that we may obey all the terms of these instructions. “And a servant (you and me) who knows what the master (Jesus) wants, but isn’t prepared and doesn’t carry out those instructions, will be severely punished. But someone who does not know, and then does something wrong, will be punished only lightly. When someone has been given much, much will be required in return; and when someone has been entrusted with much, even more will be required. God does hold you and I responsible. We are accountable for the good and bad we do. I'm not talking about salvation here. I'm urging you to take your heart before the Lord. Stand up for your convictions and do what is right in His sight. **** please look up and read the Scriptures in their context. I always do when I write, however it would be too long to post each Scripture in it's paragraphs. The words my grandmother spoke to me 9 years ago often ring in my ears. She looked into my 1 1/2 year old daughter's eyes and said, "Well sweetheart, you're still learning." Lilli had obviously done something dramatic and out of line. To my grandma it was simple, but she has no idea to this day how much that has affected my parenting. Lately, every time I correct one of the girls, they say, "Mom, you're hurting my feelings and you don't care." I have always felt terrible for hurting their feelings, but I knew I had to discipline (prov. 13:24, Hebrews 12:11, Prov 22:15, Eph 6:4). Lord help me know what to do. I felt defeated. I felt like they didn't hear me, and I don't like to hurt them. Seriously, discipline is just as hard on the parents, if not harder!! I tell my girls, "I don't want you to grow up as brats!" 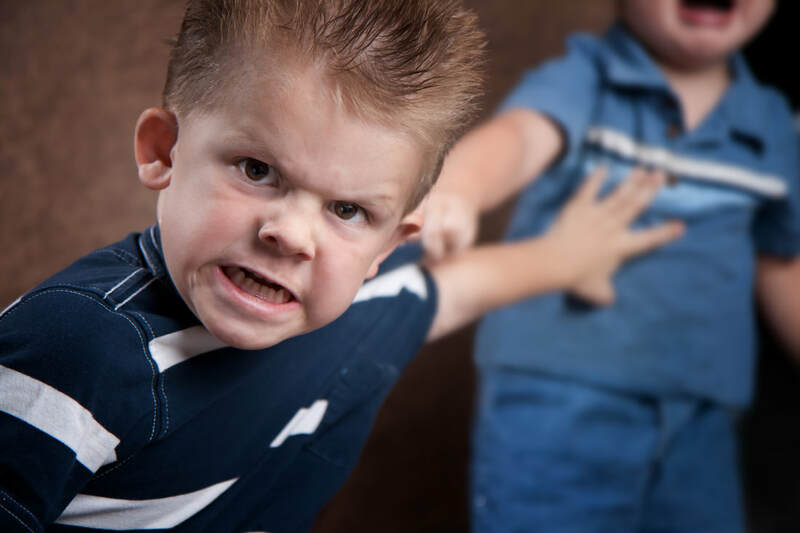 Whether you spank, timeout, or simply correct, they have to throw it in your face like you are the most terrible parent! And with all of that, you have to trust you are doing the right thing. I mean how hard can it get??! I've prayed over this, and the Holy Spirit says to me, "Sarah you should care more about their character than their feelings, as I care for your character over your pain." Facebook can be so deceiving. A picture is great at lying, happy kids and parents, always doing stuff together. They look nearly perfect, with minimal struggle. Birthdays where no one cries, school days with no morning fights, no little liars, manipulation, or deceit. Need I say more? Facebook never helped me in my parenting. Scrolling always made me feel as if I don't measure up. And, to be vulnerable? 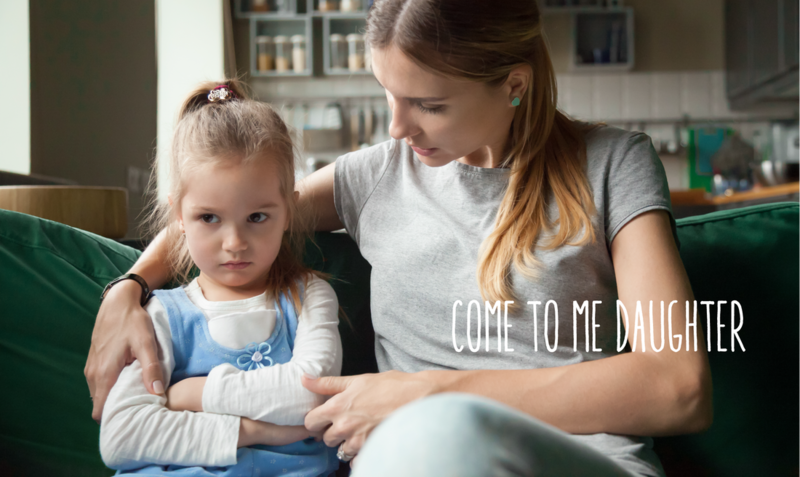 to share my struggles in discipline, in parenting, in life? That's so difficult when hardly anyone else is transparent. Maybe all the others really do have it all together. Comment if you feel the same. Maybe we can encourage one another. 2. Consider your words, that they are correcting but also edifying. Speak the truth in Love. Eph 4:15 Instead, speaking the truth in love, we will grow to become in every respect the mature body of him who is the head, that is, Christ. 3. Hold hands and pray with your child. Do expect him/her to reject, as they are being tempted by the enemy to do wrong. Prayer will break this. I used to take this rejection so personally, like what am I doing wrong that they don't want to pray? We still have an adversary out there, especially trying to grab the young ones. Thes 5:16 Rejoice always, pray without ceasing, give thanks in all circumstances; for this is the will of God in Christ Jesus for you. 4. Make sure you punish with the consequence fitting the sin. If we punish further than what is necessary, then you create fear in the child. Eph 6:4. Fathers, do not exasperate your children; instead, bring them up in the training and instruction of the Lord. Luke 14:28-30 For which of you, intending to build a tower, does not sit down first and count the cost, whether he has enough to finish it—lest, after he has laid the foundation, and is not able to finish it, all who see it begin to mock him, saying, "This man began to build and was not able to finish." 6. Follow up with a hug and tell them how much you love them. This is my favorite verse that I tell my kids. Lilli used to say with a loud pouty voice, "That doesn't make any sense!" Hebrews 12:6 For the LORD disciplines those he loves, and he punishes each one he accepts as his child." We can do this moms and dads!! Let's be more vulnerable, so we can share and raise great children that learn vulnerability and transparency. "But there is nothing covered up that will not be revealed, and hidden that will not be known. Denial is never good. Sweeping things under the rug accomplishes nothing other than festering temptation, leading to sin that's hard to identify it's roots. Are You Walking in Religion or Relationship? Do you know God? I think that all, well most can answer that question with a yes. But what separates the living God, the great I am, from the dead god? In better words, do you have a religion (dead god or idol) or a relationship (living God)? You see, religion kills, starts wars, and oppresses. Religion fights for some and throws fire on others. This is all done in the "name" of God. So "who" is God? Which god? I mean, there are many that worship the sun, moon and stars. In Exodus 3:13, Moses asks God what name he should give to his fellow Israelites. This God would bring them out of oppression from Egypt. God replies, "I AM WHO I AM. This is what you are to say to the Israelites: 'I AM has sent me to you.'" God sets Himself apart from other gods. It is becoming clear why a name is highly important. Jesus was given the name above all names, and if you want to understand what the one true God does, then study Jesus, who was man and God. Religion says, "Eye for an eye, tooth for a tooth." Jesus says, "Turn the other cheek." The teachers of religion scorned, exiled and stoned sinners. Jesus spent time with sinners, saving them from their sins. Saul was the most sincere, devout religious teacher. He took it upon himself to enforce Jewish law in the name of God. This meant that many true Christians were murdered at the hands of Saul. I use the word sincere, to emphasize that you can be sincere in any of your convictions, but it doesn't mean you are right by God. Until one day on the way to Damascus, Saul was met by Jesus. "Why are you persecuting me?" says Jesus. You can read the rest in Acts 9:1-19. Saul's name was then changed to Paul (name importance), and he went on to lead the gentiles to Christ. He most importantly wrote 1/2 of the New Testament. You can still believe in Jesus while oppressing others, starting wars, scorning sinners, in which lands you right back in the middle of religion. Religion keeps others from God, where relationship reminds the world that Jesus died for all. There's the difference between believing Jesus and following Jesus. I think that we all have to check ourselves every so often and ask God to keep us on the side of relationship through Jesus Christ. Humans are a people of rules, where God wants to be our ruler. The Holy Spirit wants to guide us, but we feel the need for a formula. Our Father wants to be our daddy, but we want to replace His character with our human ideas of what a father should be and do. Let's take God out of the box we so often put him in. And Christians, stop going to church to find God for your conscience. Rather, find God through His Word and others and take Jesus to the world. Remember, Jesus destroyed the temple, as the temple of the Holy Spirit is YOU, not a building. The bride of Christ, the church, is not the building but is the people and Jesus is the cornerstone. What do you think about religion versus relationship? Are you quick to judge others for whether they go to church or not? Trust me. They will want to come to church when they are hungry and thirsty. That was me. He did all the work on the cross and "It is finished." The work is done, so just believe and trust. Have you ever experienced God move in your life with a mighty hand and get a completely different outcome than what you expected? That's what keeps happening in our lives. I sense that it is God's pruning, as it hurts. However, I look back and see the growth. Last blog I told you that Kris Vallotton was coming to speak in DC. I saw God's mighty hand align the most impossible circumstances. Let me give you some background about this man. I had never even heard of him 3 months or so ago. Somehow, I made my way to his teaching (the Lord). I was hooked by his wisdom and revelation and I would watch his sermons sometimes 2 and 3 times a day, and read the Bible. I had been very sick during these times; as you know I have Lyme flares that can last long. It was easy to watch and take notes. Besides, I had yet to find a great pastor since the dismantling of our church plant. We helped plant Commissioned church 6 years ago, and there is so much I miss. We had to disperse over a year ago. We've since been looking for the right church. The worship was so amazing and of course the sermon was incredible. I couldn’t take notes fast enough! At the end, I’m starting to get excited because somehow I’ve got to ask him to pray for me. They had already called two ministry teams up to pray, each of which did NOT have him a part of. But, he was directly in front of me! Just before he was about to take a step out, I just boldly tapped his shoulder, showed him my list of illnesses, and asked for prayer. He said, “Well, yeah let’s pray for you!” I explained how I wanted wisdom more than healing. Wow. I literally broke. I felt like my belly was kicked in, and a wall I built was shattered. I cried and cried, but really paying attention to that word. I was confused by the word. My initial interpretation regarded my health and children's healing. I consulted the Lord all day Sunday, trying to understand, as I didn't think I'd lost hope in my healing whether it's now or later. I began to think on finding a church home, as the last year was rough for me in that area. I had problems in the children's ministry in our last church. They were unapproachable, and disgraced when I raised questions about the doctrine. I thought we would still be building Commissioned and I didn't expect it to crash. I was bitter for some time, but have been able to walk through to the other side of that pain. Romans 8:24-25 For in hope we have been saved, but hope that is seen is not hope; for why does one also hope for what he sees? But if we hope for what we do not see, with perseverance we wait eagerly for it. So the hope that I've lost has to do with something that I have longed for in faith. Remember stick-to-itiviness? Why would we stick to it, if we don't hope for what's ahead? I can't say that I've hoped for complete healing. Let me explain. In the beginning I absolutely yearned for health, and even in my most painful moments, which are many, I called out to God, "WHY?" I begged him to take me home and bring me to full healing in heaven. Being near to death, He would hold me as close as He could to the flame but always pull back. Let me tell you this, I could feel the heat of that fire and these were the moments I wanted Him to take me. When you have a blessed family with two beautiful girls, you can grasp the idea of how painful it was. When Paul was tormented by the devil, he pleaded for God to take it away. After the third time, Jesus said, “My grace is sufficient for you, for my power is made perfect in weakness.” (2 Cor. 12:8) Prior to this, Paul boasts about his sufferings. Talk about being held to the flame! In the past I've wondered, why do Scriptures tell us how many times Paul begged? I see it now, it was important to show me that I can stop asking, trust and hope in Him. Instead of wasting time begging for healing, I would rather have wisdom (this is not for everyone, as Jesus loves to heal). I want wisdom and revelation so that I can help others come to salvation in Christ. I want to see people, delivered, healed, forgiven, saved and go to heaven with me. If God sees a purpose in my sickness, then I trust in Him to SUSTAIN me. I'm certain many do not like my answer or understand it, but they don't have to. God is my refuge, not the opinions of the people. I'm learning to be more vulnerable. ​In this past year, I have longed for the Lord to use my family for His glory. We have waited and waited. Then I was fired as a volunteer. Haha! I met with the Pastor asking for more Jesus in the children's curriculum. I mean, how much Jesus is too much?! I'm shocked by the suppressing of the Holy Spirit, of a supernatural God. Isn't it interesting how Jesus says, "Truly I tell you, people can be forgiven all their sins and every slander they utter, but whoever blasphemes against the Holy Spirit will never be forgiven; they are guilty of an eternal sin” (Mark 3:29). This same Spirit is in each of us, raised Jesus from the dead. He led Jesus' entire ministry and He's who fell on the disciples and 3,000 others giving them power and boldness for the work of the ministry. YET, churches are not including Him in their services. The worship is amazing as they are playing all of the popular Hillsong and Bethel songs. The funny thing is, I wish they would listen to the teaching as well. 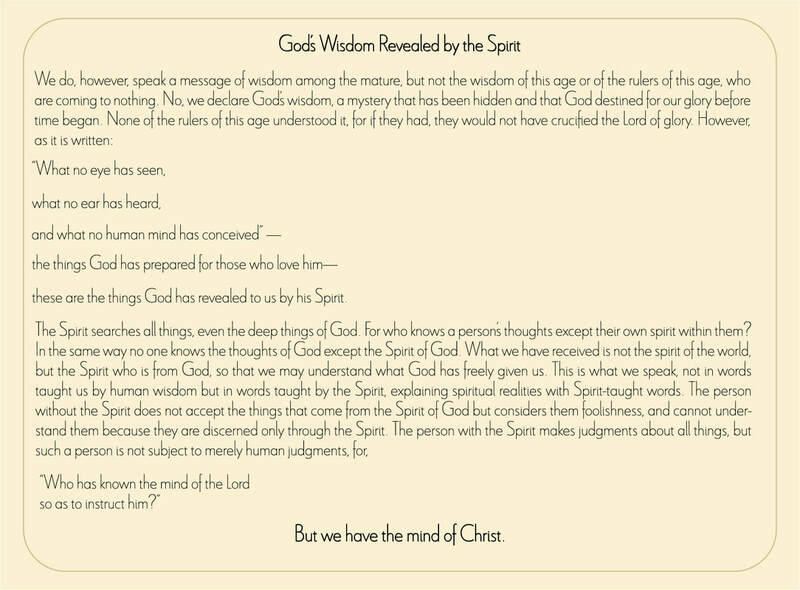 The controversial Kris Vallotton and Bill Johnson's teaching is full of wisdom and revelation, which of course only comes from the Holy Spirit and God's Word. I would advise reading 1 Corinthians 2:6-16; I posted the passage at the bottom. I truly had lost hope in the local church. I told Matt just before Kris Vallotton night, I couldn't see anymore. I couldn't see ahead of me, and I'd lost any vision for working with children. I never lost hope in healing, but I did lose hope in my calling. I clung to one prophecy, but lost hope in my present calling. God had given me a vision for teaching the children God's Word, prayer, and how to move in spiritual gifts through children's ministry, using my theology and art background. When I walked into that new church in DC, I was so engulfed by the presence of God. Although I left feeling confused, I was built up in the Lord. The next night was the regular service for Grace Capital church, and I left there with HOPE in a church after talking to the pastor. The sermon was PHENOMENAL! They are a new church plant, only one year old, and I would never have found them if it weren't for Kris Vallotton speaking there. The church doesn't show up on Google, and you know that's how we roll in the 21st Century. God works in the coolest ways. He restores hope and works all things out for our good for those who love Him. The outcome was different, but it's better. It's always better when the Holy Spirit guides us into the right place, despite not being what we expected. My family is finally home. Over the past year I've had a hard time writing on a regular basis. I just thought I had writer's block, or I was distracted (as my illness would overtake). Facebook has dropped off of the map for me as well. I just kept allowing time to slip by, trying not to think about it, but God reminds me. I'd pull up the site to write and only every now and again I could put my fingers to the keyboard. Otherwise I would keep a tab open to come back to it (yes that's how I do my to do list, by tabs). It is at this point that a lay my head back in my chair and ask the Holy Spirit to speak through me so that others can be touched by my vulnerabilities. And.. well there it is. The answer. Who likes to be vulnerable? You lay yourself out there, knowing that some will be touched, others will judge you, and others will mock your faith or your situation. The hardest part for me is being judged for the way I handle my kids with the treatment of Lyme, or worst, unbelief of their diagnosis's. Isn't it easier to be silent, to not even risk the hurt? Is it worth it? Are the few who are touched by your story worth it? We see God saving the remnant all through the Old Testament. Noah was the remnant, the one who still sought God. Wasn't he vulnerable? Talk about a family that obeyed God despite the mockery. It was 120 years that God gave mankind to turn back to Him (Genesis 6:3). The Bible does not tell us exactly how many years it took Noah to build the ark. But, I like the way "Answers In Genesis" deduces their answer down to about 20-40 years. Imagine: Mankind is evil, doing the worst kinds of things. It had never rained on earth at this time. When God created the world, the oceans and such sprung up from the ground (Gen. 2:6). The scene is Noah and his family cutting wood building this ENORMOUS boat and telling people to repent, save yourselves, because God is going to dump water from the heavens. Now, this was not just a simple boat; it is nothing like what we see in the cartoon depictions. This boat (ark) is 1 1/2 times a foot ball field (450 ft long), 75 feet wide, and 45 feet tall. To make matters just all that more difficult, mankind had not ever seen rain before. This would be the very first rain, well, supposedly according to Noah. For 20-40 years, Noah is mocked and judged. We know this because, no one other than Noah's family got on that boat. Vulnerability is an understatement. I can sit here behind my computer screen sharing my story and love for Jesus, post, and then decide not to read the comments. I hear the enemy place thoughts in my mind that "speculate" what others are saying. But Noah was out there in the open. His vulnerability was out there in a physical dimension for anyone walking by to see. If the evil was ramped enough for the Lord to destroy ALL of it, then it must have been worst than anything we all can imagine. Noah was vulnerable. The Lord convicts me here. Am I living this life to please God or man? It IS worth the few. It was worth Noah and his family, the 8. Satan is the father of all lies and all mockery. Satan is at work, as I use to obey him. If we really think and pray on this, we realize that many do not even know what they are saying until they humble themselves to the feet of Jesus. You used to live in sin, just like the rest of the world, obeying the devil--the commander of the powers in the unseen world. He is the spirit at work in the hearts of those who refuse to obey God. Jesus said, “If the world hates you, keep in mind that it hated me first." Vulnerability. The devil doesn't want you to stand up and speak. He doesn't want you to share your story about Jesus in your life. That being said, I will share where I am in my illness. And I will share my faith in what God is doing through me, through it. In order to break down strongholds in your life, you must allow God to make you vulnerable. The type of stronghold I am talking about is described in 2 Corinthians 10:4. 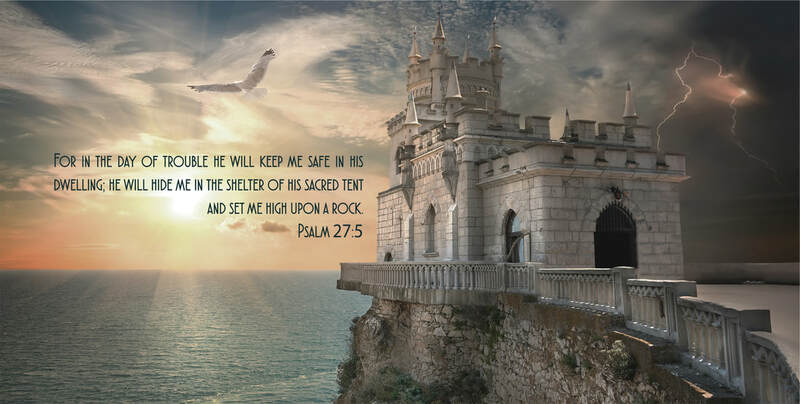 It is a fortress you have built up, with the help of satan, to keep you safe from being hurt or exposed to criticism. Unfortunately this type of stronghold does not allow God to work in and through you. Once we allow God to break down our strongholds, we are exposed to the fiery darts of the devil. This is when we must take up the armor of God (shield of faith) and take refuge (stronghold) in Him. 2 Corinthians 10:4 NIV "The weapons we fight with are not the weapons of the world. On the contrary, they have divine power to demolish strongholds." Let us allow God to protect our hearts, and make ourselves vulnerable, in order that we may help others with their struggles that are like our own. Use your spiritual weapons to break down the fortresses you have built up and take your refuge in Jesus. He sets you on a firm foundation, up high on a rock and no matter what comes your way, you will stand strong. Snow days! I remember when I was a child how exciting it was to get a day off from school and go sledding. Or simply get a day off last minute. My sisters, brother and I would stand by the radio or watch the television eagerly waiting that long list of closings and delays begging for our school to be called, as if we could persuade the newscaster. And, oh the joy if he did call our school; we might as well have thrown a party! My mom was a teacher, so she would be excited as well, so long as we didn't miss too many days causing them to shorten our summer. I get it when my girls are eager for snow days, and I root with them. It was just after Christmas break, the weather got cold and snowed. The girls missed a few days and it was time to go back to school. The temperature was rising turning the precipitation to rain. Typically they call the schools off the night before around here, and they sent a message that they would reevaluate in the morning. At this point, school was open. Upon receiving this message from her dad, I hear Lilli say, "I'm going to pray that they close school tomorrow." My initial reaction was, "Really Lilli? That's not a reasonable prayer!" After saying that, the Lord convicted me, "Isn't it tho?" I corrected myself and said, "You know what? It doesn't hurt to ask Him. He can always say no." Lilli came running up to me eagerly to pray. I told her she had to ask. She closed her eyes and made a short plea to the God of the Universe. "Please God, close the schools tomorrow, so we can have one more day of fun. In Jesus Name. Amen." The weather was looking unlikely from a human's perspective. At bed time, Lilli once again says, "Mom, will you ask God too?" So I prayed as well. "God, I know you delight in your children. You are our daddy, our Abba Father. You tell us to ask anything in your name, and I know nothing is too big for you. Lilli wants one more free day, so will you close the schools for her? In Jesus Name." Okay girls, time for bed. The morning came, and Matt comes in to tell me to go back to sleep because schools are closed. He proceeds to converse with me, "When I was a kid, I had to walk a mile to school in a foot of snow." I bet every parent says that these days! It made me chuckle as my head hit on the pillow. I smiled because I knew what God did for Lilli. The girls were so excited! Lilli was ecstatic that God heard her small prayer and moved on her behalf. It's even in the little things that God hears us. He says, "You have not because you ask not." He can always say no, so why not ask? He wants to give to His children as a father gives to his child. But our Father in heaven has ALL the resources. Hehe. Jesus said, “Which of you, if your son asks for bread, will give him a stone? Or if he asks for a fish, will give him a snake? If you, then, though you are evil, know how to give good gifts to your children, how much more will your Father in heaven give good gifts to those who ask him! Sure, it wasn't life and death or a necessity like food and water, but God wants a relationship that's more than just talking to Him when we "need" something. He wants us to love Him, like really delight ourselves in Him. He's not just our God and maker, He's your Father if you trust Him. On a practical level, what does this look like? Prayer is ultimately talking to God. You don't have to always close your eyes or recite a creed. Just talk to Him. He's not as far off as you may think. Jesus came down from heaven to make a way for us. Search out the Bible or ask a Christian friend to help and you will find Him. I love when God answers our silly prayers. He's a daddy like that. Oh my sweet baby Jack. He's my sister Lindsay's 18 month old baby. He's near and dear to me, as he's always been my miracle baby. Originally he was born to die, being diagnosed with trisomy 18. Some babies live a little but not long. I'll never forget the morning Lindsay called me hysterically crying as she relayed the news to me. I had this supernatural confidence that the Lord was going to override this death sentence. I prayed over her, over Jack. I just knew in my spirit that he was going to live and he was going to be healthy. Over the course of her pregnancy it would be one thing after another, where the enemy would try to steal Jack's life. It was a spiritual battle for this one precious baby. The day had come, and would you believe that this sweet baby was perfect? He was not just healthy; he was perfect. He's the sweetest, most loving and caring little guy. I've known from prayer to now that he has an extraordinary purpose on his life. I pray over him every time I see him or hold him. The love that I have for this boy is beyond what you can even imagine, as I love him as I do my very own girls. Over the last year, there has been a battle for this family. Lindsay has been very ill and needed help with Jack over the last month. Matt and I took him into our home. 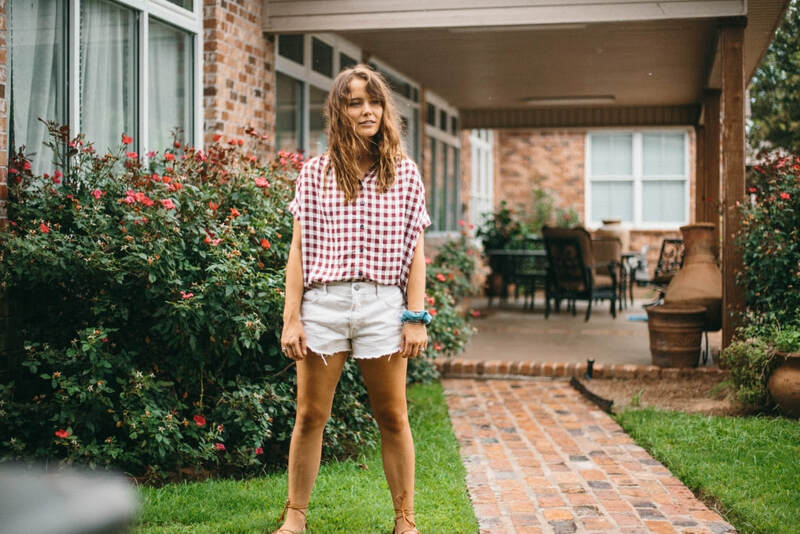 It was certainly a change of pace for us, and I had to be on my toes with my own shortcomings with Lyme. We had gates, toys, food on the floor (glad we have a little dog Dixie), and all that comes with a little one. A. Lot. Oh but the moments. Everything about my miracle baby melted my heart. He learned so much in a short month. He and I will always have a special bond. Oftentimes, we think that God has this extraordinary plan for our life, and we wait as it passes us by. Kris Vallotton reminded me of our current modern day worship singing for the heavens to rend open, or we are on the verge of this enormous breakthrough. Yes this is true that God does pour out his glory, mercy, healing and love over us, and breakthrough is always coming. However, we miss it when we don't open our eyes seeing him in the details of our daily monotonous lives. The Lord had me up all night over our Thanksgiving break, praying over Lindsay as she was in the ER once more for her ulcers. Quickly as the night began, God told me to help her heal by taking Jack until Christmas. This was an unlikely possibility that all would be on board. Matt, as the leader and protector of our family, was concerned over my own health while taking care of a baby. I did not take Jack that next day or the following week. It wasn't until the very next weekend that all hearts had softened and were on board. This was my calling right now. God had prepared the way for me to give my undivided attention to my family and to Jack. We knew that it wouldn't be perfect, that there would be frustrations, battles and even jealousy. We worked through each one as it would present itself. I had to adjust to the fact that I still needed to care for Lilli and Reese. You would think this would be obvious, but it was a sudden, demanding, extravagant change in our home. At the end of our care for Jack, Lindsay was healing in leaps and bounds. As I look back over the course of the month, it wasn't this explosive ministry where 10 kids were saved or lives were changed through a great Word. My days consisted of multiple diaper changes, saying the same thing over and over to get him to say something, sitting on the floor playing legos, watching baby cartoons as he sat in my lap or attempting to read to him. This was my calling from God right now. Jack is one child. Jack matters to God. You matter to God. It isn't always in the extravagant that God is calling us to serve Him. I've learned that over the last month. The last lines of this song by Hillsong spoke to me straight from the heart of Christ. It was the sum of what the Lord had called me to do. It was my calling, my obedience to the Lord, surrendering myself for one, as Christ did for me. He doesn't leave one of His behind. You’re the One who never leaves the one behind"
It was a good day for me. We went to Matt's best friend's event at Ticonderoga Farms. We walked all day! I couldn't believe how well I was doing, especially after my weak lung diagnosis. The fresh air felt so good. We got to take family pictures, and Ryane even had 2 professional photographers taking family portraits. It was such a gift and blessing. I prayed over our meal and asked God to bless Ryane's family ten-fold. I don't know if you've been to this farm, but it's huge and has everything fun to do all in one place! The hay ride was a blast, until the tractor driver took us into a pit of mud. This was on purpose by the way. The mud would have been fine if it weren't for the enormous bumps! The girls laughed as I sat myself on the floor and braced my arms on the hay. I don't know what was so enticing about this, but it just lured us. Maybe it was the hidden treasures, the unknown, or maybe it was the caution tape that wrapped all the way around it. It was a bamboo garden with a path. The bamboo was so thick, but it left this opening as you see to the left. It was much darker than this photo, so it looked enchanting and inviting. I mean, that meant keep out, right? Yes Sarah, out. We kept walking and there was another opening in this humongous outlay. I don't know what overtook us, but we just went right under that tape! But only after we saw an employee walk past and out of sight. It was sneaky, and rebellious. She's my 10 year old, and she's kind of a rule follower. Matt and I not being very good examples, assure her it's okay. She's telling us not to go through, there's something wrong, as she walks apprehensively in the middle of the pack. There was nothing special in there. 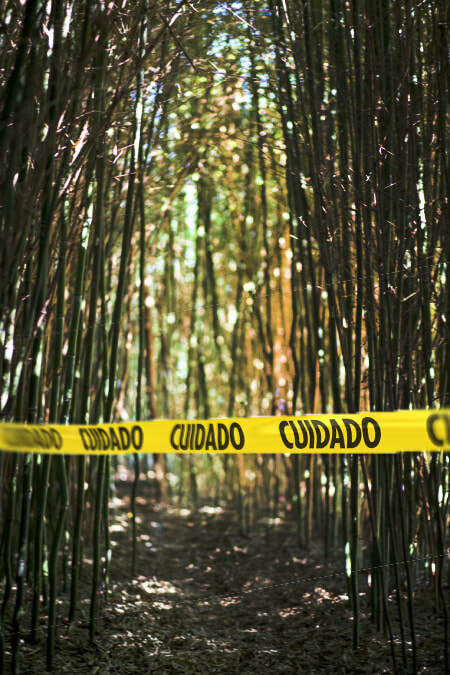 We could have probably guessed that it was just a maze full of bamboo. We all run out in horror! The girls and I are basket cases, as Matt tries to calm us down while pulling ticks off of everyones legs! Can you believe it? I've been scared to go outside the last couple of months because of ticks and mosquitos, and the one day I really go for it, we get in a mess of ticks. Well, I should say, we got ourselves into this mess. It was!! What made us so drawn to something so stupid? And then to find this! I think I'd rather have run into a snake!! The enemy. Our adversary. The devil. Did the devil make me do it? Well yes and no. He was in our ear whispering. "Look how cool that is. Nothing will hurt you. The caution is in Spanish, so you can't read it. Just go in real quick." Ha! Did the devil push me in? No. Did I push Lilli? Maybe. That hurts my heart and I'm embarrassed to admit that. I CHOSE to listen to his lies. We chose. And we were terrible role models for our kids. Isn't this like our everyday life? God has big bright yellow warning tape that says, "Don't do it my child. You will get hurt." It was just like the first sin of Adam and Eve. Satan was in Eve's ear, and then they both disobeyed God. "Don't eat that fruit my child. You will die." But they CHOSE to listen to the lies of satan. And now we all die because of their sin. We all die because of our own sin, our own disobedience to our Father. Those laws, rules, commandments are intended to protect you and me. God is a loving God, but He's also just. In His justice someone has to pay the price for that sin. We could not pay for the sins ourselves, because we are evil and no one is good. Everyone has turned away, all have become corrupt; there is no one who does good, not even one. He died without ever doing anything wrong His entire life on earth. In His humanity, He walked the same life you and I walk. He warned us. Through His Word, He warns us. The farm warned us. Don't go in here; it's full of ticks. When we came out panicking, we had to urgently remove the ticks. That's what God does for us. When we, in our selfish motives, walk into sin, are dirty. It's miserable being dirty. When you go to Jesus and ask for forgiveness, then He will forgive you, and He cleanses you once again with His blood, the perfect sacrifice. I see three different types of sinners in our journey into the tick infestation. You have the leader, the follower, and the innocent you drag with you. How sad for the innocent. I'm certain by the context this is talking about stumbling a child out of faith in Jesus. But even still, Lord forgive me for leading my child into a horrible, dark, fearful place. Thank you Lord for warning us before (unfortunately we didn't listen), and also for correcting us when we were in there. What would have happened if the worker had not walked by and yelled at us!? Would we have seen the ticks on our lower legs? I'm trying not to think about it. But it makes a good point that God is constantly showing us grace despite our stupid mistakes. God is warning us because He loves us. These dark places are full of heartache and dismay. If the devil is in your ear, silence him in the Name of Jesus. I tell my kids to look to the left and right or wherever and say, "In the Name of Jesus I have authority over you. Leave now." You will be amazed at the immediate deliverance. Do you do the things you don't want to do? Try saying this OUT LOUD. The devil can't hear your thoughts. He's not all-knowing like God. There's power in the Name of Jesus. Why do you think people curse in the name of Jesus? You don't hear any other religion being used for curse words. Why? Because those are satan's ministries trying to deter you from the truth. Let there be no sexual immorality, impurity, or greed among you. Such sins have no place among God’s people.Obscene stories, foolish talk, and coarse jokes—these are not for you. Instead, let there be thankfulness to God. You can be sure that no immoral, impure, or greedy person will inherit the Kingdom of Christ and of God. For a greedy person is an idolater, worshiping the things of this world. Are you looking for an amazing realtor in the Northern Virginia area? Please consider contacting Ryane Johnson! He's Matt's best friend of 20 years, and a wonderful friend. He's got a beautiful wife, Syliva and 3 adorable sons. Isaac is their newest addition to the family. I just couldn't sleep. So I went downstairs and made my cup of coffee looking at the time of 4:30am very annoyingly . I sat down at my computer after swallowing 10 pills in two gulps, finding a notification from Lindsay. I open her text with a blog link to Mary Kate's story about her family suffering with Lyme disease. She's married into the Duck family. It's hard for anyone to come out and talk about Lyme, but it's on another level of hard for someone in the spot light. Her story is raw but there's something so special about it. Despite all of the pain and heartache, Jesus is the center. He's her stability, her reward. I've read many; I mean MANY lyme blogs and there's never been one that's led me to comment, much less write a post around it. I feel a connection to Mary Kate. She's my sister in Christ. One day, in heaven, I think I will know her. I'm not sure what we will know about our lives here on earth, but I do know the Bible eludes to the fact we will recognize each other. My heart breaks for her, but not only does it break; it rejoices. I just posted about this verse, and it was also about the hardships of someone else. Mary Kate, my heart rejoices because as our hearts break, our lives are being poured out as an offering to others. It's not about ourselves. It's about Jesus and sharing His love for this dying world. Paul said it best, "hold firmly to the word of life. And then I will be able to boast on the day of Christ that I did not run or labor in vain. But even if I am being poured out like a drink offering on the sacrifice and service coming from your faith, I am glad and rejoice with all of you. So you too should be glad and rejoice with me (Philippians 2:16-18)." I rejoice with you friend. Paul can relate to our hardships from sin and satan. The more we share Jesus the harder we get hit. This battle is real, but it's worth it. What's 70-100 years (if we're lucky) compared to an eternity with God where pain is no more, tears are no more, suffering no more. As Mary Kate said, "We’ve always prayed God would be glorified in our lives, and sometimes He answers prayers in ways we wouldn’t have chosen." I've prayed for God to use me as a broken vessel for His glory. I've prayed for God to break my heart for others. I think God has a sense of humor, and I find myself laughing with Him often. Who would have known that my heart would LITERALLY be broken.... Like broken.... like pace maker broken. HAHA! I know you guys probably aren't laughing, but I am. Truly. I would do anything, go anywhere for you; at least I'd like to think I would. If it takes a broken heart for you to come to know the love of Jesus, then that's what I'd do. Like I said, "What's 70-100 years compared to eternity." We are all heading somewhere after those years. 10s of 1,000's of years. As Buzz lightyear would say, "To infinity and beyond!" My heart urges you. My broken heart pleads with you... read your Bible. Don't take your pastor's word for it, or your sister, or friend. Read it straight from the mouth of God. He does speak to you. I've sat in church services where only 1/2 a verse was shared in a 45 minute time period! If you don't understand it, keep reading. You will. ​The Holy Spirit will reveal the more you read, the more you believe, the more you trust. We don’t try to trick anyone or distort the word of God. We tell the truth before God, and all who are honest know this. If the Good News we preach is hidden behind a veil, it is hidden only from people who are perishing. Satan, who is the god of this world, has blinded the minds of those who don’t believe. They are unable to see the glorious light of the Good News. They don’t understand this message about the glory of Christ, who is the exact likeness of God. You see, we don’t go around preaching about ourselves. We preach that Jesus Christ is Lord, and we ourselves are your servants for Jesus’ sake. For God, who said, “Let there be light in the darkness,” has made this light shine in our hearts so we could know the glory of God that is seen in the face of Jesus Christ. Mary Kate you are in the center of God's will. Let your heart break and continue to let your light shine before men. Each week before I teach the children at church, all of the teachers gather, share and pray together. I enjoy this 10-15 minutes of time, because we get to hear each others testimonies from struggles to praises, and frustrations to thanksgiving. If you know me, you could imagine that each week I share my own. I hesitate to speak up, because my stories sound so extreme, "When I was near death..." Haha! This past week we were talking about how you have been able to encourage someone who feels hopeless. As the circle disengages, a gentleman named Jeff stops me to chat. He's eager to learn more about my life and struggles. He asks questions and responds with an eagerness to pray for me. I can feel his light shine in the dark parts of my life. After he listens, I naturally ask about his story. Attentive to his life struggles, my mouth nearly drops. Suddenly I feel like I should not have been complaining or seeking prayer from him. His daughter's heart stopped at birth. It was long enough to lose nearly all of her abilities including talking. They are in and out of the hospital all of the time, infections off and on. It's one thing for me to go through this sickness, but it's another to watch your child suffer so much. As much as I've complained about my girls sickness, I've never even been close to what Jeff has faced for all of his daughters life. She's starting school this week and has a new teacher. Jeff is concerned, so I shared about Lilli's tough change in schools. I asked with expectation, "Is she nervous?" He responds saying, "Well she's nonverbal so I don't know." Suddenly I shrink back, as if I know nothing about this seemingly rough life I'm living. He tells me that he and his wife are nervous though. He's interested in my story. How can that be? He wants to spend time devoted to prayer for me? How could I even compare? But I do. My story is a testimony of God's grace as I battle in and out sorrow. For some reason Jeff feels as if I'm a light in the dark parts of his life too. God's ways are bigger than ours, and we never know how deep our stories go into the lives of others. In sharing, our hearts are filled with joy, the joy that only comes from God. How could joy come out of such hard, dark, painful areas of our life? We are not alone. God is stable. He's constant. He never changes. He's eternal. But not only that, God sends us others who understand. Others who know the pain, the heartache. Others who know what it's like to put on our face to family and friends. He's a brother in Christ. As much as we share heartache, pain and struggles, we are connected through Christ. As much as our stories would seem hopeless, they are not. They are full of hope, love and endurance. Without Christ, it is hopeless. Without Christ, we are perishing in our tears. Without Christ, death is near. In Christ, even death cannot hold us down. hard pressed on every side, but not crushed; perplexed, but not in despair; persecuted, but not abandoned; struck down, but not destroyed. Satan is our enemy, not God. the blessing beyond the pain. When the Lord takes something away, it typically feels like He rips it away. This is where the pain sets in. This past week, as I've opened my Facebook page, tears begin to swell as I stare at my volleyball picture. It was four days before I had my pacemaker placed in my heart. It was one of the greatest gifts my husband could have surprised me with, one last game. I was so weak I couldn't hit the ball over on the serve, but it didn't matter. It was a moment I shared with my wonderful volleyball team, Matt and the girls. It became permanent. The impossibility to play hard volleyball again. Sure I can play around, but not like I did. I have felt like a punching bag for the last 6 and half years. Last night I couldn't sleep because the pain wouldn't let me. Will it end? Will the mountain top come? Three cups of coffee a day to fight the fatigue. We question His will, the road we thought we were destined to be on. Sharing our pain makes us vulnerable. But sharing our pain becomes our testimony. It's our testimony to others, so that we can help them endure as we have endured. Open your wounds and allow God to heal you. Open your wounds and let others see. We all walk around with a face that makes us look like we have it all together. I imagine that's not the case as the devil is running ramped trying to pull you down. 1 Peter 5:8 says, be alert and of sober mind. Your enemy the devil prowls around like a roaring lion looking for someone to devour. God always covers that pain with His love and comfort, if we trust in Him. Trust is the key. Fearing the Lord is key. God wants you to call on His name through Jesus Christ. He will continue to take away until we fear Him. He loves us so much as He's a jealous God for our time, devotion and love. We typically think of jealousy as a bad thing. Well not from God, as He loves us so much. He doesn't "need" you, but He "wants" you. The Hebrew word for "jealous" is quanno' and only of God. Let's recall the ten commandments when God tells us not to "covet", be "jealous" of our neighbor etc. (Exodus 20). The Hebrew word used is a completely different word, which is chamad. Run home to your Father, and stop trying to do it on your own. It's a season of salvation. What do workers gain from their toil? I have seen the burden God has laid on the human race. He has made everything beautiful in its time. He has also set eternity in the human heart; yet no one can fathom what God has done from beginning to end. I know that there is nothing better for people than to be happy and to do good while they live.That each of them may eat and drink, and find satisfaction in all their toil—this is the gift of God. I know that everything God does will endure forever; nothing can be added to it and nothing taken from it. God does it so that people will fear him. Life is burdensome, but eternity is forever. Choose Jesus, take life on earth one day at a time, always be a learner from your Teacher, and simply love. Love people, not things. Live with thanksgiving, as God blesses you if you just look beyond the cloud. Happiness fades, but the joy of the Lord is forever.